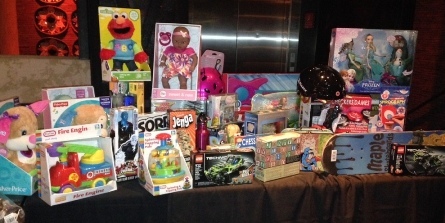 Las Vegas' All Ivy Plus Board hosts the Seventh Annual Holiday Extravaganza & Toy Drive. Chayo's Mexican Kitchen and Tequila Bar (at the Linq) will be again our venue this year. Join us for great food, beverages and holiday cheer. Wednesday, December 14, 2016. 6:30-9:30pm (bar closes at 8:30pm). Cost: $45 includes food (taco bar) and beverages. Please bring an unwrapped toy for donation to charity! Tickets required for this event. Prior RSVP requested and accepted until event is filled. Purchase your ticket on this site (click on the "buy tickets" link below and complete your payment and rsvp in one simple transaction). NO CASH accepted at the door.